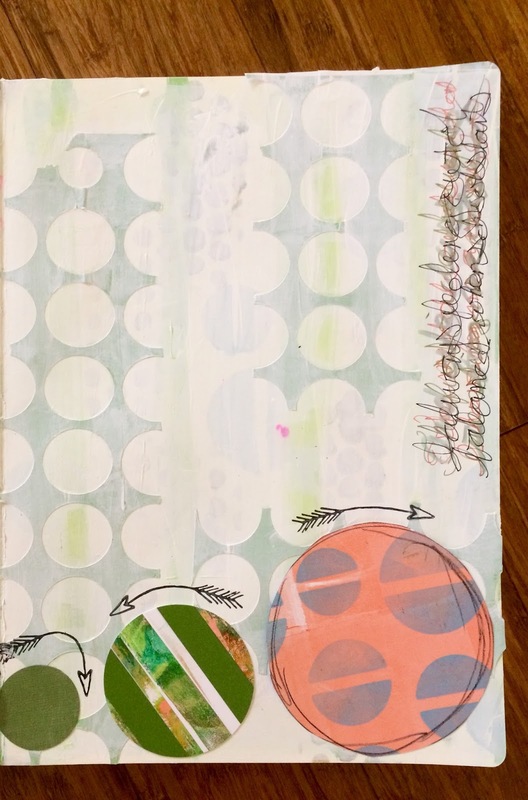 Last blog we talked about how to just start an art journal page. If you missed that post, you can click here. I don't alway know what my finished piece will look like, but it feels oh so good just to get started! 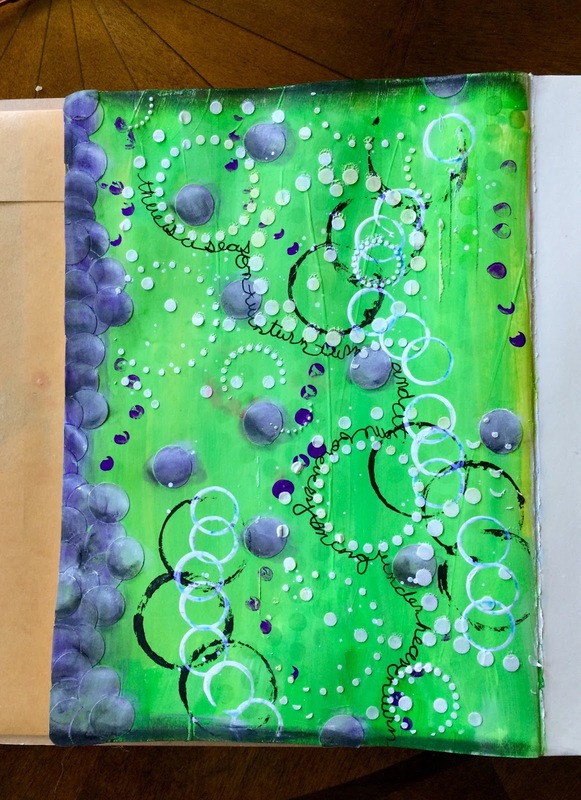 Often if I do have an idea of what the finished piece should look like, the art journal veers in another direction all on its own. This week it's time to add layers to our page. This journal is from the painted page. Here is a process video to walk you through the layers. When stenciling, consider starting with your biggest stencil and use it with your lightest color. As your stencil gets smaller intensify your color. I think using more than one stencil adds so much to a spread. A collection of lids ofrom different containers is excellent and inexpensive for art journaling. On this page, I used a mousse lid and a leave-in conditioner lid. I have collected various lids and keep them in a handy gelato container. The lids can add so much. All the little circles on the page are waste from a school project. We made little octopuses with the letter o and wrote o words. I thought the circle were compelling so I used them here. Here is the rest of the letter o waste. When crafting, I hope you look at your scraps; and I hope your scraps inspire you to even more creativity. What is your favorite scrap to use. I'm so curious!!! Materials: all materials either come from my Etsy shop Pink Bunkadoo or from Amazon because I live in the sticks. Affiliate links cost you nothing.